Pectoral cross for the Christian is not just a decoration, it is the external sign of the Christian faith, a symbol of "the cross" by which the person agrees to accept from God and bear all his life courageously and without complaint. Such sacred object is a particular attitude and as a gift. 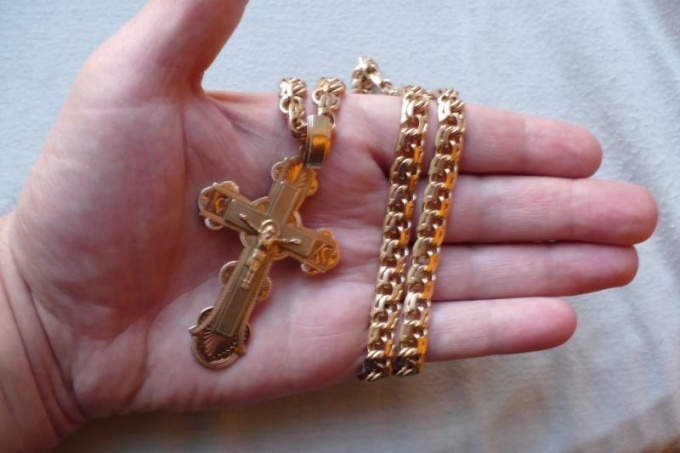 There are a lot of people's will, concerning giving pectoral crosses. For example, it is believed that to give the crucifix only in the sacrament of Baptism, and under any other circumstances the man who gave the cross, "I will give my life, and it can make unhappy the one who he accepted the gift. They say that if the person who gave the cross seriously ill or happens to him some other misfortune, something bad will happen to those who is Darren cross. Finally, there is a belief that by gift of the cross some people get rid of the "damage and the evil eye". The Orthodox Church does not accept any and superstitions, including those relating to the crucifix. All views about the "deterioration", "hex", "transfer of doom" absurd from the point of view of a Christian: the fate of a person disposes of God, and the Holy symbol cannot carry any "negative energy", whose existence, moreover, is not proven. For the Christian, crucifix, donated by anyone – not the mythical source of danger, and precious gift, full of deep spiritual meaning associated with a wish for God's blessing. Especially valuable gift would be a crucifix, sanctified in any Holy place. To accept such a precious gift, of course, can and should be. If a person who received a cross as a gift, already have a crucifix, he can wear both cross at the same time, one by one, or keep one of them next to the icons, and the other to wear – none of these options the Church is not prohibited. Ticklish situation takes place only in case, if an Orthodox Christian received the gift of a Catholic cross. Make the gift you need, because it is dictated by love, but to wear such a cross should not be. A special situation occurs when two people give each other their crosses. Not so long ago, in the early 20th century, this action makes people "cross brothers" or sisters. The custom of fraternization existed in pre-Christian times pagan bro, mixing blood or exchanging weapons. In the Christian era, the conclusion of twinning was associated with a crucifix, a sacred object, closely associated with faith and soul. This "spiritual kinship" seemed even more sacred than the blood relationship. In the modern world the tradition of brotherhood through an exchange of crucifix almost forgotten, but nothing prevents modern Orthodox Christians to revive it.